Radio is part art, part science, part skill, part luck. If you’re reading this, it means you’re interested in telling stories with audio. You may be a newspaper reporter looking to expand into audio. You may be a student starting to work at your college radio station. You may be a photographer who wants to put your pictures to sound. You could be the next superstar pod caster. You may be an NPR listener who wants to know how your favorite shows make radio magic. Throughout this guide, you will see us reference “radio.” As you well know, these days radio skills can be useful well beyond the radio medium. 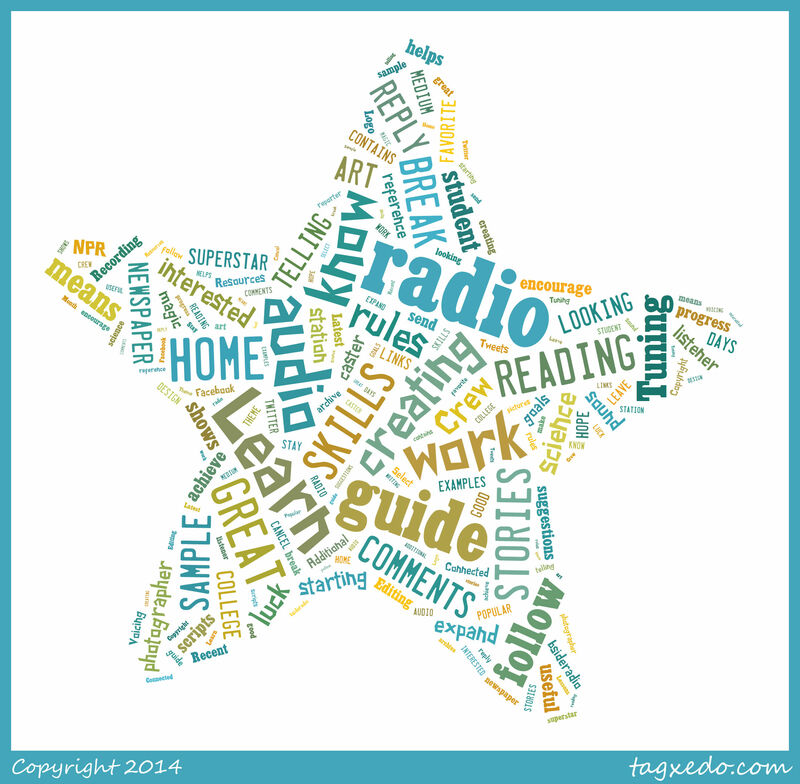 We hope this guide helps you achieve your audio goals…radio and otherwise. At B-Side we like our stories to break the rules. But before you can break them, it’s good to know what they are. 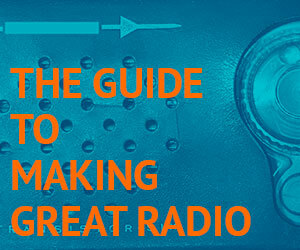 This guide contains the rules for creating great radio. As you read through it, we encourage you to follow links to sample scripts, sample audio and other examples. Radio is all about sound. We don’t have pictures or printed words to help us tell the story, just the sounds of people’s voices and their surroundings. Sound brings listeners into our stories, takes them to a place, helps them feel the events we describe. It’s a powerful thing if gathered well and used correctly. This guide comes complete with advice about how to handle a mic and 19 examples of both good and bad audio. Writing for radio is different than writing for print. You’re writing for the ear, not the eye. Listeners have to get it the first time around- they can’t go back and hear it again (unlike re-reading a sentence in a magazine). And while a reader may get up and come back to an article, a radio listener who gets up may not come back. So you want to grab their attention and hold onto it for as long as possible. This guide should be useful to just about anyone looking to improve their writing. These are techniques Tamara learned in training sessions with some amazing coaches and in years of trial and error. Now, she will admits, she doesn’t always follow her own advice but these tips are good reminder of how it can be done. This is one of the most challenging aspects of radio production and can make or break a story. But voicing can also be a lot of fun and it gives you the opportunity to put yourself into your work – to give your piece the emotion or levity the piece deserves. Most radio listeners don’t realize how intensively the stories they hear have been edited. That’s because with good editing, stories flow well and sound smooth.